Wrap an existing door or build your own! 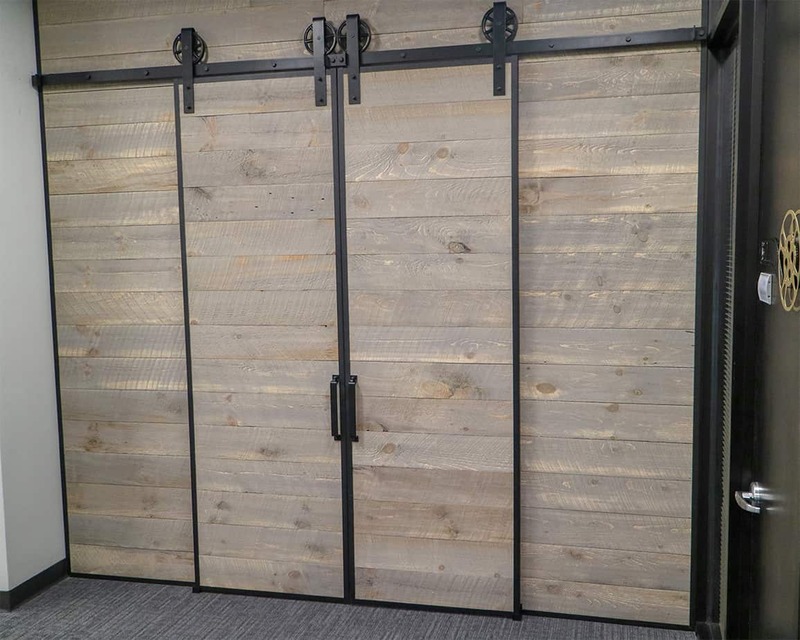 Almost any type of wood can become a beautiful sliding door or shutter panel with Goldberg Brothers Barn Door Edge Wrap. 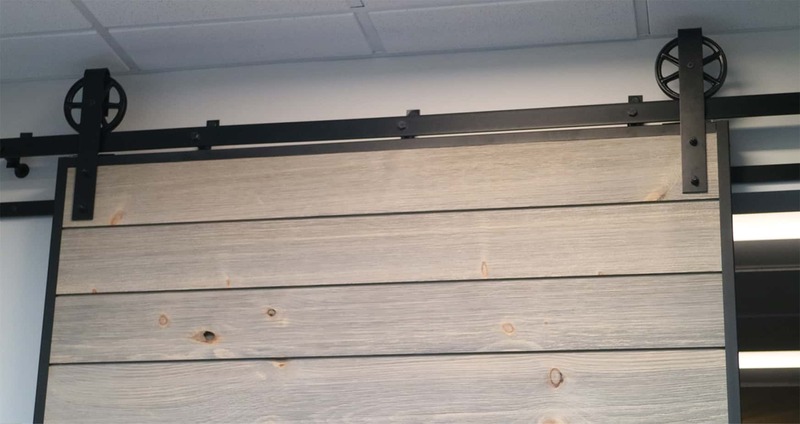 Choose an assortment of individual boards, a set of tongue-and-groove or shiplap slats, decoratively carved wood, or even a reclaimed barn wood panel. 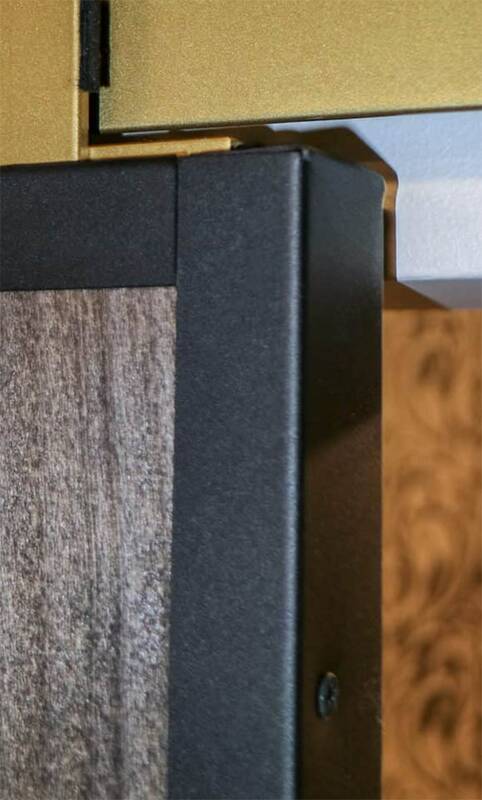 Then wrap it with our distinctive, powder-coated steel channels to add a finishing touch to your home. 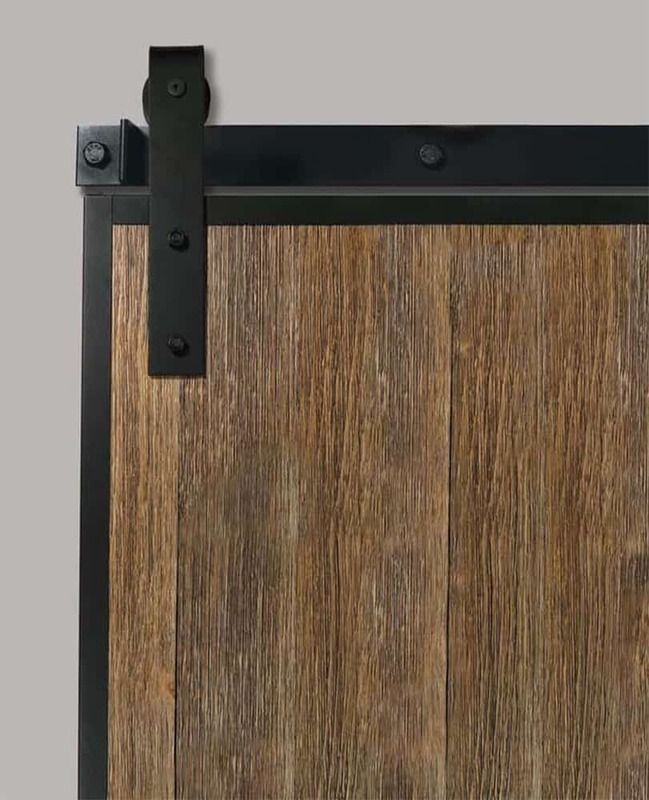 Barn Door Edge Wrap can also be used to give a finished look to a barn door that has been cut down to a smaller size, eliminating the need to have it rerailed or restiled. 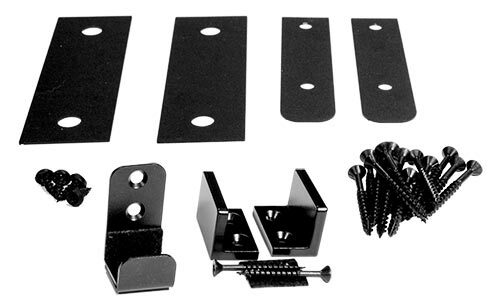 *Shims can also be used as drilling templates for mounting roller hangers to the door. In order to show detail, some images are not to scale.